The theme for this month’s box is ‘Feeling Fancy’ and I think it’s just on par for all the upcoming holiday parties! I really loved how diverse my box was this month. I had everything from makeup to haircare to fragrance. All perfectly travel sized to be thrown in my bag and used for my upcoming Thanksgiving trip. Let’s check out all the goodies I got in this month’s birchbox! 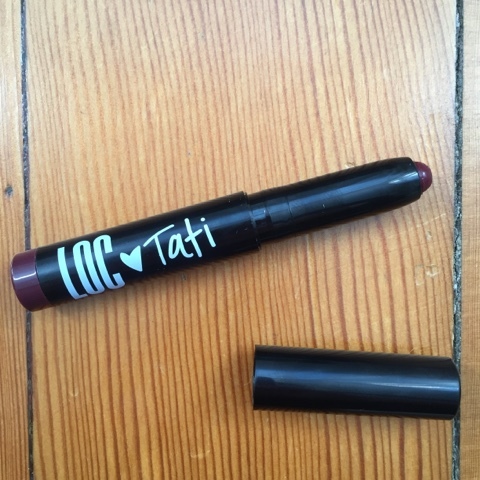 One of the items in my box that I really liked was the LOC Tati lipstick in the shade Glam Life. It’s a beautifully rich burgundy color that goes on super smooth. Seriously, really pretty. I now really want to try out their shadow stick shades too to see how well they blend. The other product from the box that I was so excited to try out was the Balm Frat Boy blush. I love these little mini blush boxes. They’re perfect for happy hour touchups between work and drinks and even better for quick traveling tips! Plus, I love how decorated their boxes are. This one makes me feel like I should be at a high school football game! 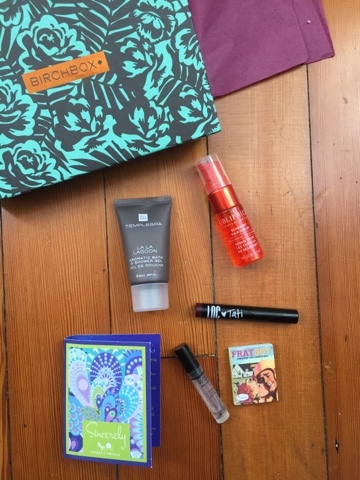 What do you think of this month’s birchbox? Share with me in the comments below! I always love the design of the Birchboxes themselves! They are so pretty. My mom has a stack of them – I should raid her stash! The Balm is one of my fave new brands of make-up. I have (and love) the Time Balm and Stainiac. How fun! I haven't done a subscription box in a while so maybe I should try them again! The balm products are adorable. I used to love getting my Birchbox each month.